Offer procedures vary on different markets. Your real estate agent's negotiation skills are crucial to determine how to put together an offer that will work to your advantage. There are many things to consider when placing an offer. 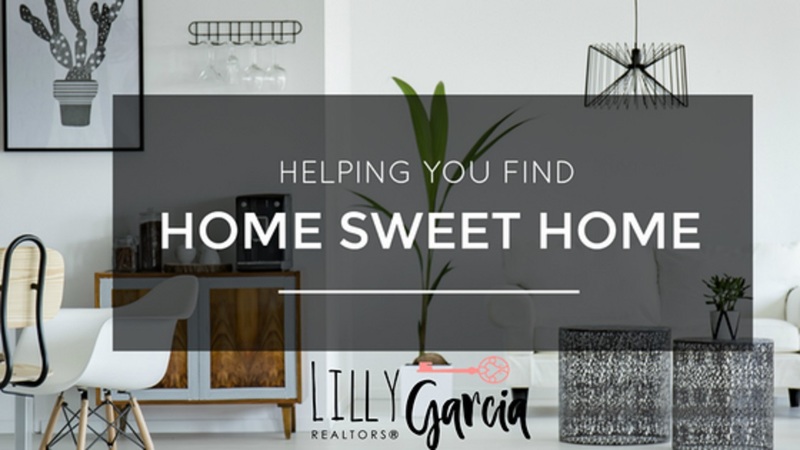 The first question you should ask yourself is: Do I REALLY want this home or am I just wanting to make an offer because I havent seen anything I like and I kind of like this home? If it's the latter, don't even go there! Why make an offer in a home you are not sure about? if THIS IS THE HOME then ask this: Will I be devastated if I lose this home in a multiple offer situation?? If the answer is YES then make your BEST offer the first time. 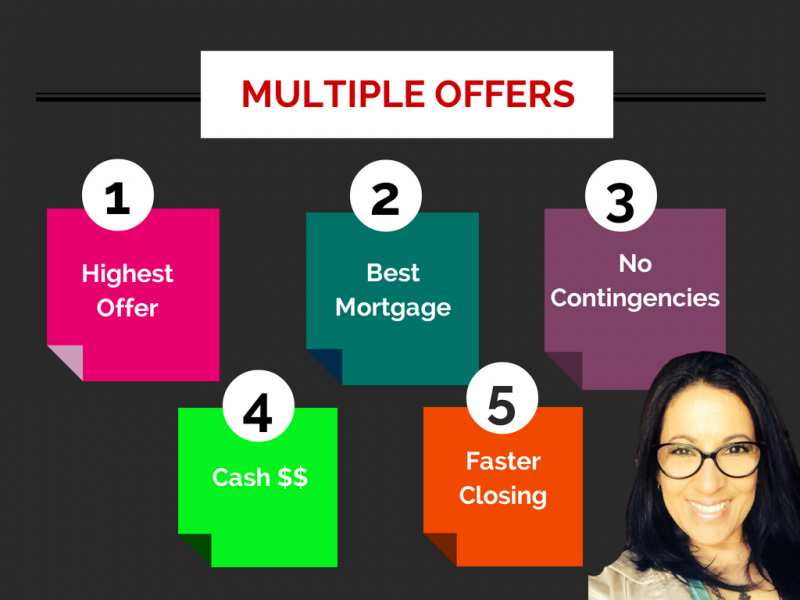 It may mean that you offer a higher price or it may mean that you don't have any contingencies, just make it the best combination of any of the five elements of a multiple offer scenario. If you are faced with the dilemma of how much to offer consider all aspects of the chart above: We know that the market has shifted and offering too little is no longer an option - you risk loosing the house. At the same time you don’t want your offer to exceed the real value of the home and overpay. This is where an experienced real estate agent would help guide you in the right direction by offering a personalized market analisis specific to the size, neighborhood and condition of the property. Making the offer is ultimately yoru decision. Your realtor can advise you on the type of market, real value of the home, if there are multiple offers in progress, and the seller's time frame on when he or she has to move. You are your strongest resource. As a buyer you know what you can afford and you know which of the five areas are you strongest. Can you close fast or do you have cash and can eliminate contingencies? Or do you have an incredible mortgage and can make the highest offer? With the help of your agent who has your best interest at heart go over your options and listen to your agent's advice and then GO FOR IT! Make your informed decision and be happy with it, whatever the outcome may be - don't expect the agent to make a decision for you - after all, this will be YOUR home! The risk of offering at a lower price or low balling might insult or offend the sellers and they will not accept anymore of your offers. This is a competitive market and if the home is listed at a good price it will be swarming with willing and ready buyers and you risk other buyers extending an offer and outbidding you. You’ve lost the chance of buying that home. I had a client who made offers in five different homes and after losing each and everyone of them on the sixth home he liked he offered a little above asking price - he really wanted this home and dodn't want to risk losing it. He was fortunate to outbid another buyer by only $50 - Moral of the story: If you want the home, don't be afraid to bid a little more than what the seller is asking!! When you pay the listing price of a home or above you may hesitate and ask yourself if you are paying too much? There are tight housing markets where buyers pay the listing price or over the listing price due to availabilityor home condition. Your agent will provide a comparative market analysis and compare your target home's condition to the others in the neighborhood that are also for sale or have sold before making that determination. Remember - The only way to ensure your agent has your best interests is by signing a buyer representation agreement before looking at homes with an agent other than the listing agent. Bear in mind that if the list price is too high when the appraisal is done if the home is valued below the offer price the seller will have the option of lowering the price to match the appraisal or allow you to rescind your offer if so you wish. As some other decisions the seller will make, the seller's reaction to this scenario is beyond your control. Overall, enjoy the process and trust your instincts. Always communicate with your agent any concerns, remembering that they are in your corner. Soon enough you will become a proud home owner!